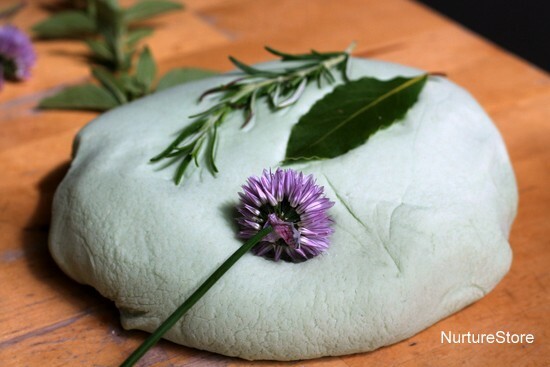 Here’s a simple homemade play dough recipe using natural ingredients, paired with some freshly-picked herbs from our Garden Classroom for some added sensory play. 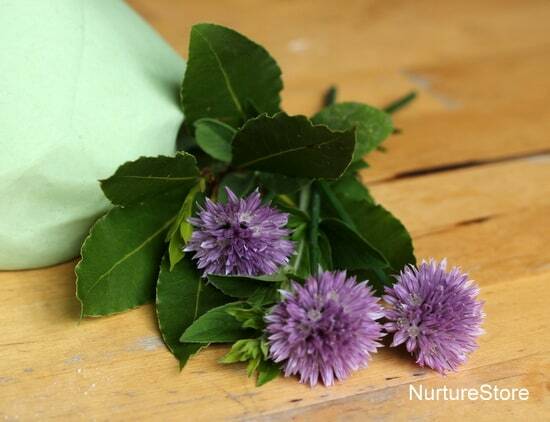 Herbs are easy plants to grow in your Garden Classroom and a great addition to have. They provide pretty flowers – loved by bees and butterflies, wonderful scent, and of course are great for picking and adding to your cooking. 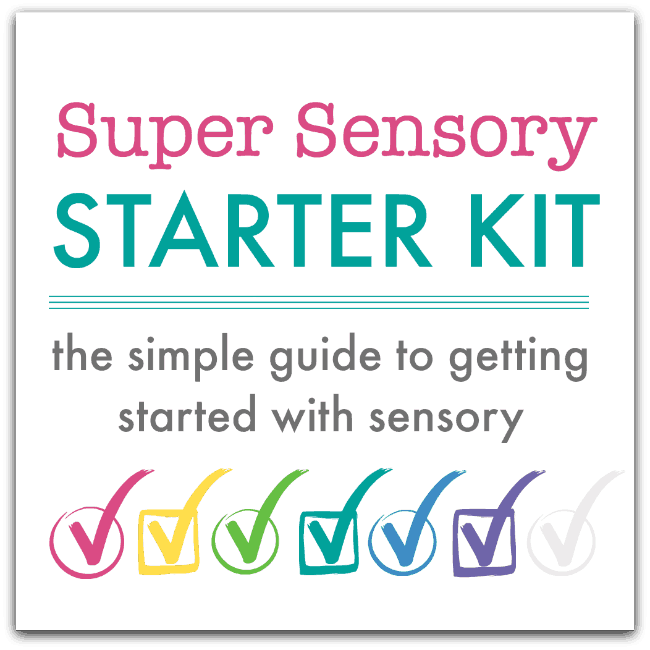 They’re also super for sensory play. 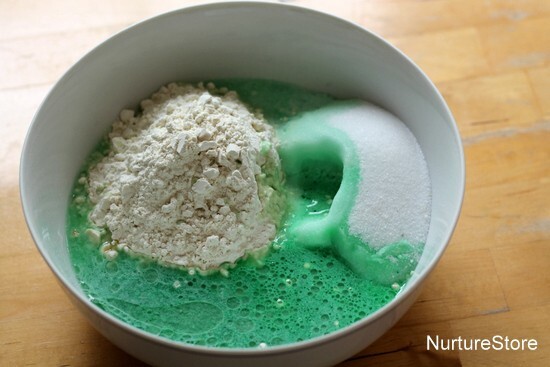 Today we’re pairing them with my favourite no cook play dough recipe. 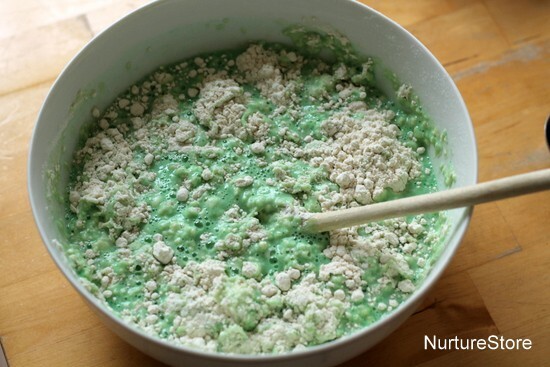 We added some natural green food colouring today, and you might also like to add some dried, chopped herbs. Mix it all together to form a dough, and knead it for a couple of minutes until it’s smooth. Play dough is a super material for children to play with. I have a whole year’s worth of playdough-based activities in my ebook The Homemade Play Dough Recipe Book, as it’s such a versatile material to use for sensory and imaginary play, but also math, literacy, art and more. Today the children headed out into the garden to pick some herbs. Children will be familiar with smelling flowers, but encourage them to rub the leaves of the plants with their fingers and experience the scents that way. And give them permission to pick some to bring into the house/classroom. We have bay, chives, oregano, rosemary and sage to play with here. All have their own distinct smell, but also work well in combination. 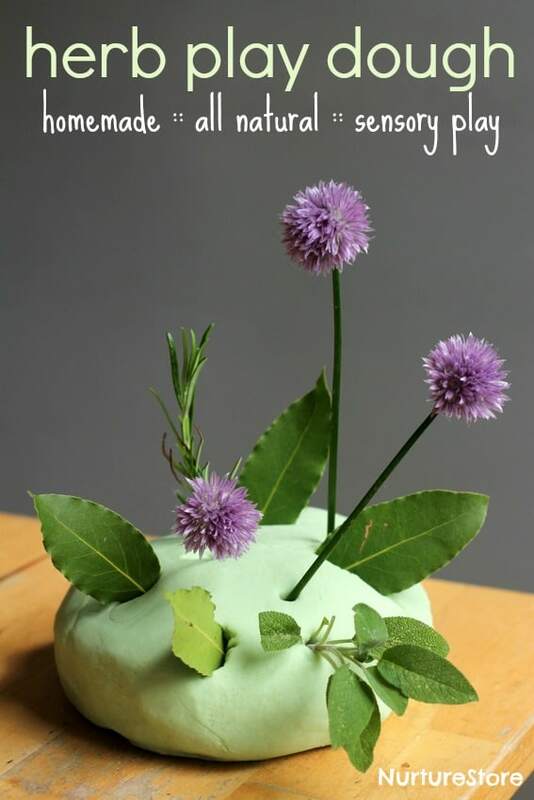 Invite the children to explore the combination of play dough and herbs. How might they play? Mine tried printing, by pressing the flowers and leaves into the dough and peeling them off to see the imprints left behind. They also enjoyed poking the herbs into the dough to create upwards. 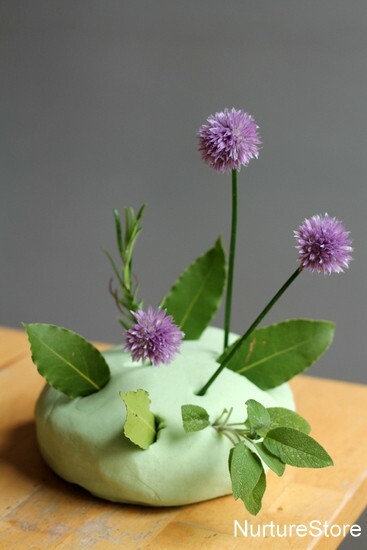 and they made some pretty herb sculptures. Play dough is great for young fingers working on building fine motor skills and flexibility, and also lends itself to imaginary play. Those herbs could well become a jungle or a forest, or decorations on top of play dough cakes. 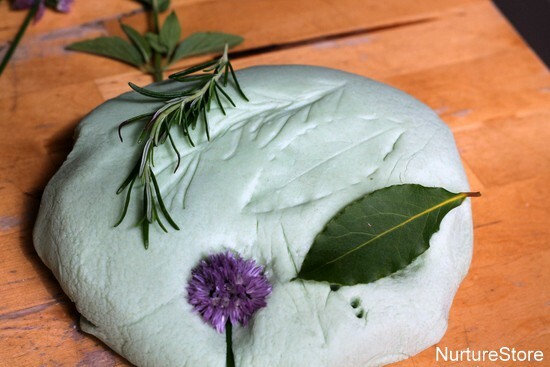 Try this herb-play dough combination and see what your children create. Hi Michelle. It was just from our grocery store. Are you in the UK? I think this time it was from Tesco. Have fun with the play dough! 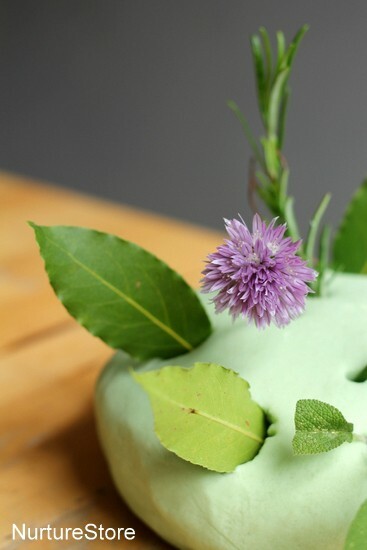 I really like the idea of combining herbs and play dough. We are growing some lemon balm this year for the first time, and the kids love to pick it and smell it when we’re in our garden. Also, just wanted to say how much we are loving your book. The printable journal pages and the idea of putting a chalkboard for observations out in our garden have really helped the kids take ownership of the garden space this year. I love how invested they are in all aspects (even weeding!) of our growing plants this spring. Thanks for your wonderful work!